My daughter would love this for her Dot! 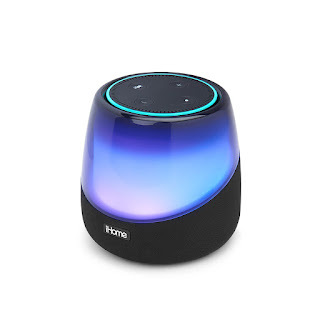 Today ONLY you can snag one of these iHome iAV5 Color Changing Bluetooth Rechargeable Speaker for Amazon Echo Dot $41.99 (Retail $59.83). -Echo Dot Bluetooth Speaker specially designed for Amazon (works with 2nd Gen, not included). -Wirelessly stream Audio from any Bluetooth-enabled device. -Control your home from the bedside. This Amazon Echo Dot dock works with iHome smartplugs (sold separately) and many more smart home solutions.